Has a friend or loved one been arrested and taken into custody on California concealed weapon charges? If so, and you’ve got questions, then you’re in the right place. Our staff of licensed, professional bail bondsmen are armed with up-to-date knowledge regarding California concealed weapon charges and can quickly and easily answer any and all of your questions. If you would like to speak with a bail bondsman right away, please feel free to give us a call at 661-299-BAIL (2245) or toll-free at 877-422-4591. Our offices are open 24/7 and someone is always available to answer your call. Carrying a concealed weapon is covered under California Penal Code 25400 PC and is described as carrying a pistol, revolver, or other firearm concealed on one’s person, in their car while under their control and direction, or causing a firearm to be concealed in any vehicle in which the owner (of the firearm) is an occupant. 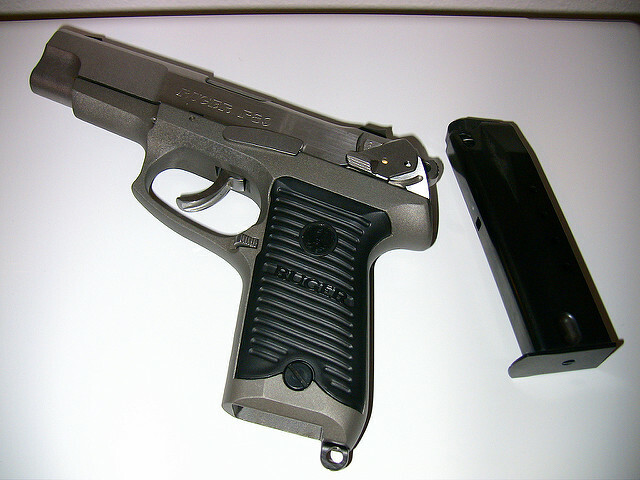 Even if the gun is only partially concealed, such as being tucked into a waistband with the handle clearly visible, an individual can still be charged with violating PC 25400. Was the firearm concealed within the vehicle or on an individual’s person? Did they know that the gun was concealed therein? Was the firearm concealed substantially? If all 3 of these elements are present, charges with violating PC 25400 are possible. It should be noted that the firearm doesn’t necessarily even have to be operable for these charges to occur. A gun without a firing pin, ammunition, trigger, etc. is still a gun; and if it is concealed, it’s still a crime. Most of the individuals listed above must carry their firearms unloaded, or only use their weapons during the activity they’re planning to take part in (such as rifle ranges, hunting trips, etc.). Violations of PC 25400 begin at the misdemeanor level and carry possible penalties that include up to 1-year in county jail and/or a fine of up to $2,000 and/or summary probation. When deciding upon the severity of the penalty, a judge will take into account the individual’s prior criminal history, any history of violence, whether or not the individual cooperated with police during the arrest, and whether or not the individual intended to use the concealed firearm. When pressed as a felony, the defendant faces probation with up to 1-year in county jail or 16-months to 2-years in county jail and/or a maximum fine of $10,000. Just because someone has been arrested and charged with carrying a concealed weapon doesn’t mean that they have to stay in jail. To bail them out, begin by giving us a call and providing us with the defendant’s full name, birth date and the date and time of their arrest. We will use the information to locate where they are being held and to verify that they are eligible for bail. After that, we will have you fill out the short, simple bail bond application forms and sign the indemnitor’s agreement. Last, we send someone to the jail to post the bond and your friend or loved one will be released a short time later. If bail is set at $25,000, the cost to bail someone out should be no more than $2,500. We accept a variety of payment options which include major debit/credit cards (Visa, Master Card, American Express and Discover) as well as cash, checks (business and personal), money orders, bank account transfers and money wire. If you’re interested in financing the cost of a bail bond, let us know. We have a variety of flexible payment plans designed to fit most any budget. No matter how you choose to pay, we never include any additional fees, charges or interest. If you have additional questions regarding California concealed weapons charges, or would like to begin the bail bond process immediately, please give us a call any time at 661-299-BAIL (2245) or toll-free at 877-422-4591.